There can be few better stretches of Pacific coastline from where to undertake a road trip and if you’re looking to kick through from San Fran to Seattle in a couple of days then you’ll be hard pushed but it is totally doable. Of course, the next best thing to do (other than simply getting from a to b) is to take your time and relax along the way and, as both cities are fondly regarded as the most liveable in America, allowing for time before and after you’ve set off is definitely advisable. 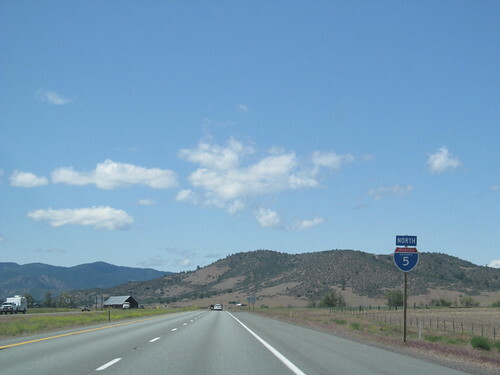 If you’re interested in finding out more about what you can expect on a road trip that cross 3 states then read on and research as there’s around 900 miles to cross which makes for a heck of a drive on Interstate 5. As your first stop on your west coast road trip, you’ll find the laid-back ranch life of Red Bluff is in complete contrast to the hustle and bustle of San Francisco with plenty of cowboy character including numerous rodeo events culminating in the RB Round-up which takes place on the penultimate weekend in April. Plenty of pizza restaurants, cafés and Mexican canteens can be found on Main Street so dismount and rest easy. Not really much to catch the eye in Grants Pass but if you’re hoping to cool off with an afternoon of water sports then this is the ideal location to do just that with rafting and jet-skiing on Rogue River always firm favourites. Numerous pizza, bistro and steak houses make this an ideal spot to spend the night and if you arrive in the day you’ll find plenty of parks and green areas to picnic or maybe enjoy a summer concert in Riverside Park or performing arts at the Rogue Theatre. Thanks to Eugene providing the home for the University of Oregon you’ll find a liberal and fairly bohemian way of life that’s full of fun if you’ve got plans to stay the night and possible have a late one the next day. Aside from the party culture, Eugene is also well-known as the birthplace of the sports brand Nike which has led to a flurry of world-class track and field champs. Loads of parks, restaurants and riverside walks make this a definite must stop if you’re hankering for city life. Although Salem is hardly any time from Eugene it couldn’t be further from lifestyle if it tried as this is a fairly clean and tidy conservative city that seems to relish its title of state capital perhaps a little too much. That said, there’s still numerous reasons to stop on your west coast America tours (other than a toilet break) and from riverfront parks to the Mission Mill Museum, you’ll easily be able to while away a couple of hours prior to returning to Interstate 5. If you liked Eugene then you’ll love Portland as this laid-back and liberal location promises no end of excitement as well as numerous chances to check out the coffee houses and independent breweries that seem to be literally everywhere. This is definitely a great final destination before you reach Seattle with the historic old town, vibrant Chinatown and Tom McCall Park providing just a few of the ‘must see’ highlights. Welcome to Washington and the state capital city of Olympia. A thriving arts scene (that often spills from galleries and museum and into the local coffee houses) has really put the city on the map and from theatrical performances to sculpture parks, there’s plenty of inspiration in your penultimate stop-over. Lots of parks and woodlands make Olympia the perfect location on a sunny day and the boardwalk views of Puget Sound are a real joy, especially at sun down. You’ve made it all the way from San Fran to Seattle so give yourself a hearty slap on the back before stowing the driving gloves and taking in the sights. The home of the Space Needle, Pike Place Market and numerous centres of art and music, Seattle hardly needs any introduction and suffice as to say that if you’re able to give yourself at least a couple of days to rest and relax at the end of your road trip then you definitely won’t be disappointed.